As the Lenten Season begins next week on Ash Wednesday (March 1) many people think about fasting. There are many ways to fast, you can give up something and you can also add something to your daily discipline as well. 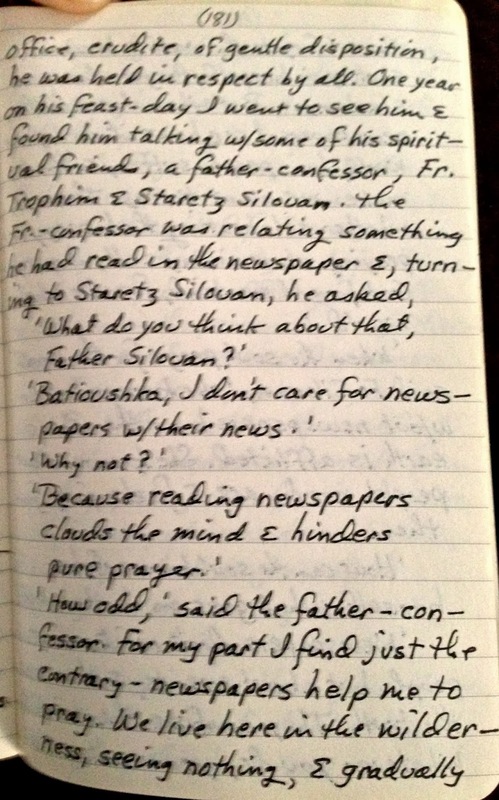 Many years ago (decades ago) my husband, Seraphim began a perpetual fast from all news media. Oh, he graciously listens from time to time as people insist on reporting news events to him. He doesn't read newspapers and he doesn't watch or listen to news. He has never read a newspaper other than quotes from newspapers that might be in a book he is reading. I see some events through the internet when they appear in different feeds but neither of us watch the news, ever. We've never suffered from not knowing what is going on in the world. 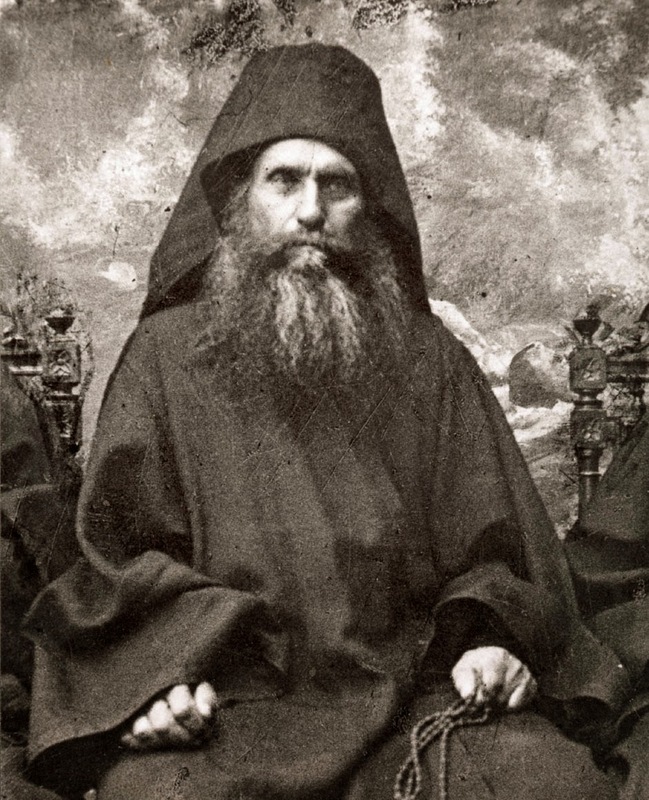 In Seraphim's "Little Philokalia, vol. 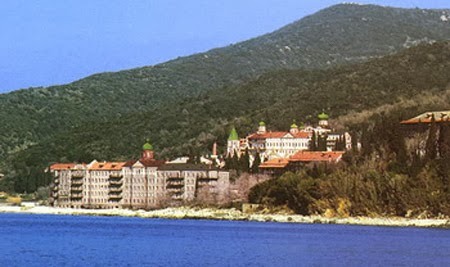 3" he writes about St. Silouan the Athonite and the saint's aversion to news - taken from pages 72 -74 of the book "St. Silouan the Athonite" by Archimandrite Sophrony. 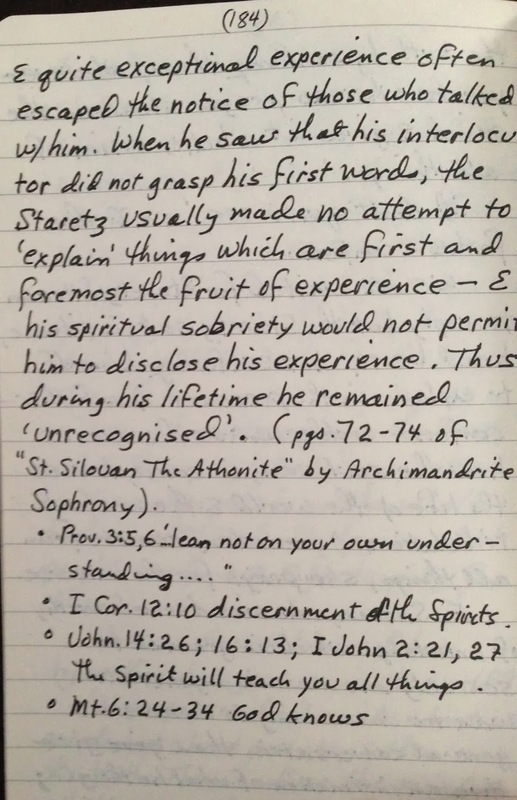 (St. Silouan is a favorite saint of Seraphim. It is not necessary to know the details of the world reported by the media, more importantly it is better to know the needs of the world as placed in your heart by God through prayer. During our last trip to Africa, Seraphim took a prayer walk up a pathway in Kabala. As he hiked through the jungle, a man came from out of the bush. 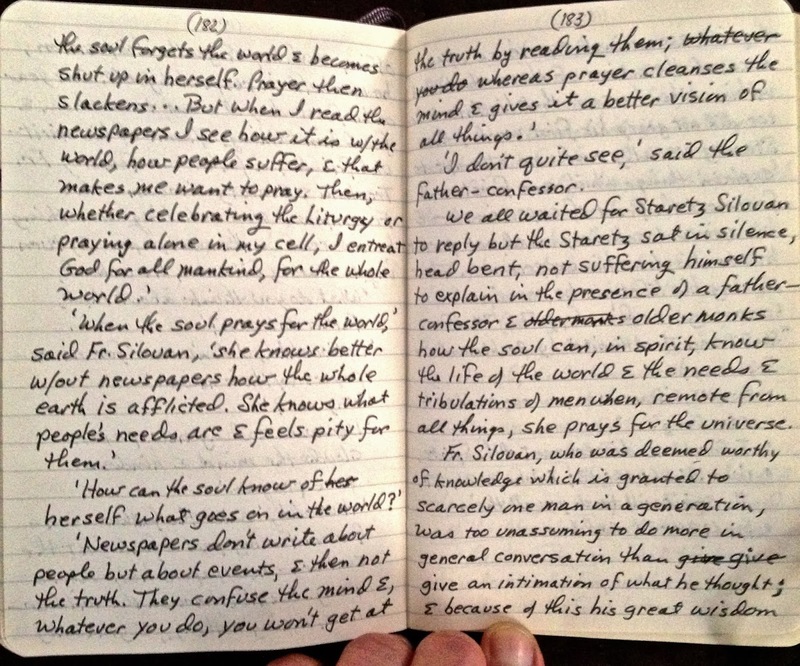 They engaged in a conversation and at one point Seraphim asked the man to pray for the world. The man said that he knew the world had gone awry without ever having a television, a newspaper or internet. He wouldn't even know what "the internet" was. Yet, this jungle man said he knew the world was not good by the behaviour of the animals, the crops and the land. I'll be doing my normal Lenten Discipline this year, but I'm beginning a more intensive Media Fast. I want to be guided by my relationship with God, my prayer life and by the constant assistance of my guardian angel and not by things of this world that seek to gain my dependence on them.